Super soft long sleeve T-shirts is on a first come/first serve basis during packet pick-up. Shirt available, while supplies last. Shirts are adult sizes Small through X-Large. 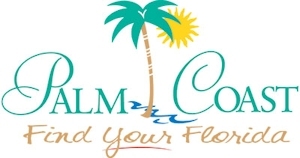 Packet Pickup will be available at the Palm Coast Community Center, Monday November 19 - Wednesday November 21, from 9 AM to 6 PM and on race day beginning at 6:30 AM at Daytona State College. Finisher medals will be given to everyone who participates, available while supplies last. 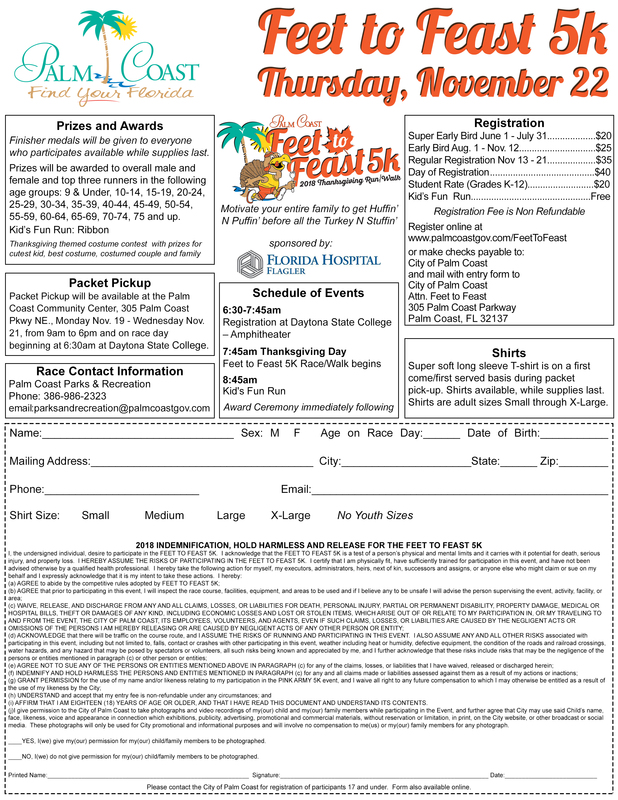 Prizes will be awarded to Overall Male, Overall Female and top three runners in the following age groups: 9 & Under, 10-14, 15-19, 20-24, 25-29, 30-34, 35-39, 40-44, 45-49, 50-54, 55-59, 60-64, 65-69, 70-74, 75 and Up. Thanksgiving themed costume contest with prizes for cutest kid, best costume, costumed couple, and family.